• Become a runner or walker, representing CASA, attain pledges and collect donations for CASA. 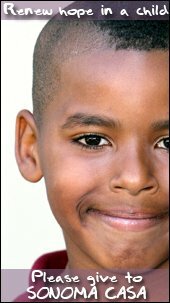 • Collect pledges on the behalf of CASA. Download the pledge form, and collect donations by going door-to-door in your neighborhood, or by asking friends, family and co-workers for donations. Please support our runners! CASA Board Members Roni Brown and Jackie Lebihan are participating in the Human Race this year. Review their donation pages (coming soon). • Assist in the recruitment of pledge-collectors, walkers and runners. • Volunteer at the event booth on Race Day or help coordinate CASA’s participation in this event.. 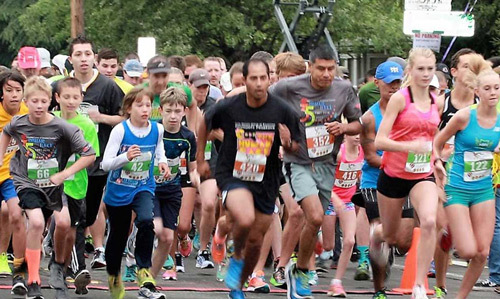 The Human Race is a nationwide community fundraising event for nonprofit organizations and is the largest collaborative fundraising event in Sonoma County as well as the largest Human Race in the nation! The Sonoma County Race features a 3K and 10K run and walk through Howarth and Spring Lake Parks, rain or shine. Organizations and businesses recruit walkers/runners/pledge-gatherers to raise funds. Funds can be raised for any nonprofit organization, school or church. The run and walk is open to all. The Human Race is a proven fundraiser that has been successful for Sonoma County nonprofits for 36 years and continues to grow. The Volunteer Center provides marketing, publicity, materials, and experienced assistance. Nonprofits and businesses provide the people power. For detailed race information, please visit the Human Race website or their Facebook Page.